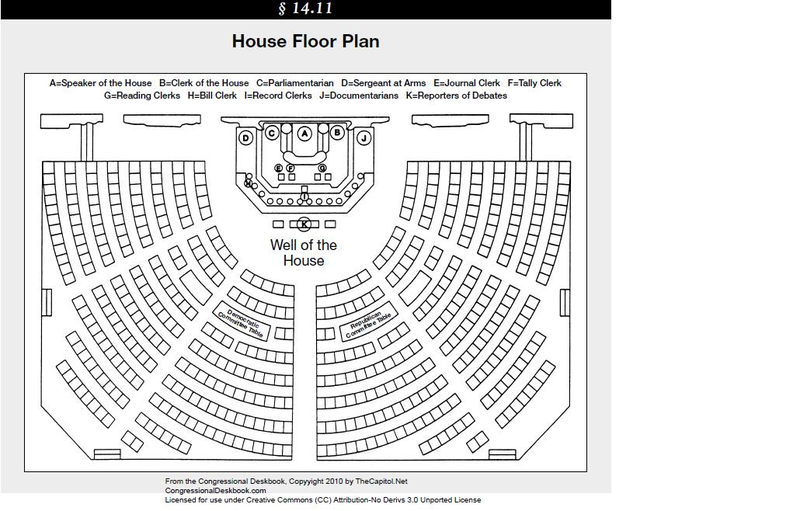 Provide students the floor-plan of the House of Representatives. Printouts or splash it on the screen. And I guess I’ll include a couple more questions that I’m not totally certain I know the answer to right now. Tangentially, is there some mathematical formula we can apply here? Once students have put forth the pertinent questions (as determined by the teacher), hand student groups a printout of the floor plan, perhaps some red and blue colored writing utensils and have them go to town. We can also go ahead and mark up the rows of four as 2 Rs and 2 Ds. At this point, we have used 14 Rs and 12 Ds, leaving us 284 and 234, respectively. Now for the rows of 5 seats. Those will either have to go R-D-R-R-D, or R-D-R-D-R, etc. The point is clear though, we’ll need 3 Rs and 2 Ds for those rows, no matter what. So let’s just do those. Now it gets a tad bit trickier. For a row of 6 we can either alternate R-D-R-D-R-D, using 3-and-3 or we can go R-D-R-R-D-R, using 4 Rs and 2 Ds. But now that we’ve come this far, consider this. 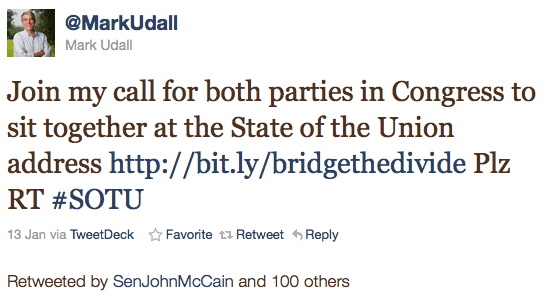 If we continue playing this game and we ever get to an equal number of Ds and Rs, we win: we know it’s possible to accommodate Mark Udall’s sense of decency. So let’s keep going with rows of six, knocking out 4 Rs and 2 Ds each step of the way. That took care of another 12 Ds and 24 Rs. So we’re at 242 Rs and 210 Ds. But you know what? This is getting exhausting! Mr. Krall, there must be an easier way of doing this! Now do you see where I’m headed with this, dear student?? We could continue filling it out with rows of 7, 8, 9, etc. But it’s pretty clear from this point, that it would be possibly to assign seats for every D and R so they’re sitting next to an R or D, respectively. But that brings us to our second question: how lopsided would congress have to be before it becomes impossible to seat everyone next to a member of the opposite party? For every row of 2, we end up even with R=D. For every row of 3, we could swing the balance by 1 (R=D+1). For every row of 4, it remained even again (D=R). For every row of 5, we have R=D+1 again. For every row of 6, we have the potential for R=D+2, a swing of two. Let’s keep going, trying to maximize the number of Rs and minimize the number of Ds for each row. Rows of 7: R-D-R-R-D-R-D. R=D+1, another swing of 1. Rows of 8: R-D-R-R-D-R-R-D. R=D+2, another swing of 2. Rows of 10: R-D-R-R-D-R-R-D-R-D. Swing of 2 (R=D+2). Rows of 12: R-D-R-R-D-R-R-D-R-R-D-R. Swing of 4 (R=D+4). It’s getting larger! Rows of 13: R-D-R-R-D-R-R-D-R-R-D-R-D. Swing of 3 (R=D+3). Hmm. Back down to 3. Rows of 14: R-D-R-R-D-R-R-D-R-R-D-R-R-D. Swing of 4 (R=D+4). Rows of 15: R-D-R-R-D-R-R-D-R-R-D-R-R-D-R. Swing of 5 (R=D+5). Now, excuse me while I get my trusty Excel spreadsheet out. So we could play this game for a disparity of house seats up to 107 members of the seated house. There are 417 members of the House as shown in the diagram (again, note: there are actually 434 members of the House and 100 members of the Senate). So for 434 seated members, there could be a lopsidedness of 270-164. But a split of 271-163 and sadly, there would not be enough house members in the minority party to satisfy Mark Udall’s utopian dream. In general, the more seats in a row, the more wiggle room we had to adjust our seating numbers. We could easily extend this same thought process to, say, school assemblies and boy-girl seating. Or shoot, your own classroom. We could also use these formulas to stricter a “more bi-partisan seating friendly” congress. There would be more 15 seat rows and fewer three seaters. 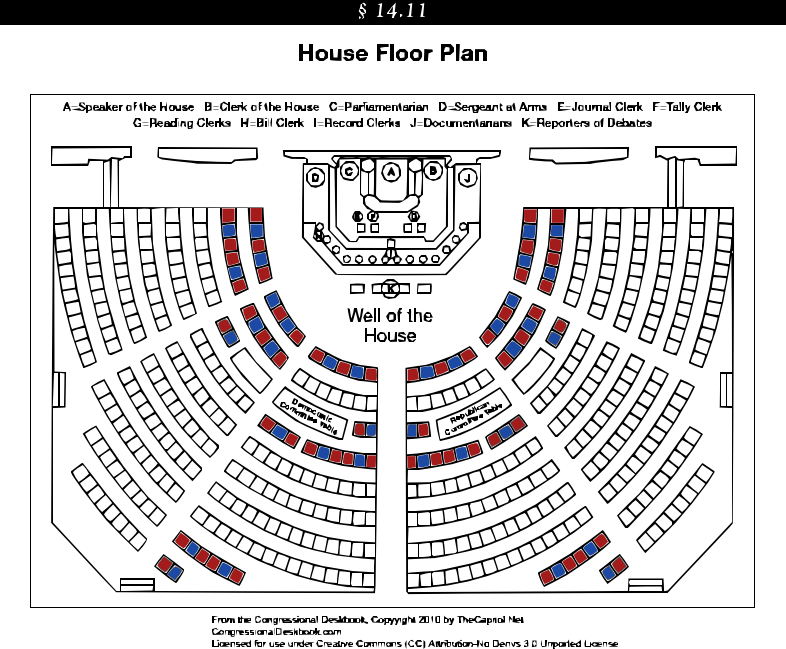 After the 2010 Census there will be a few additional seats allotted (mostly to Republicans), where should we put these seats to better allow for Mark Udall’s rule? Maybe the 435-417 disparity between reality and the picture we have would provide an interesting extension along those same lines: We have to bring in a bunch of folding chairs for the SOTU for the rest of Congress: where should we put these seats to better allow for Mark Udall’s rule? The pattern of swings for the minority party was interesting (0-1-0, 2-1-2, 3-2-3, etc.). Not sure if it means anything, but it was interesting. 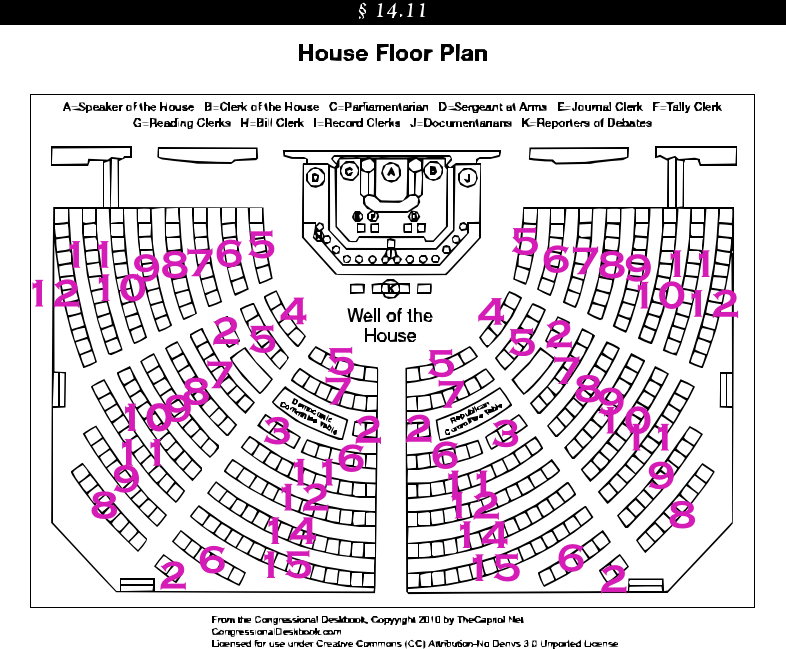 Probably the most damning puncture in this exercise is the simple fact that I can’t find a seating arrangement that seats 435 members of the House. But frankly, that’s not terribly important. It’s the disparity that matters. “Sort of”.